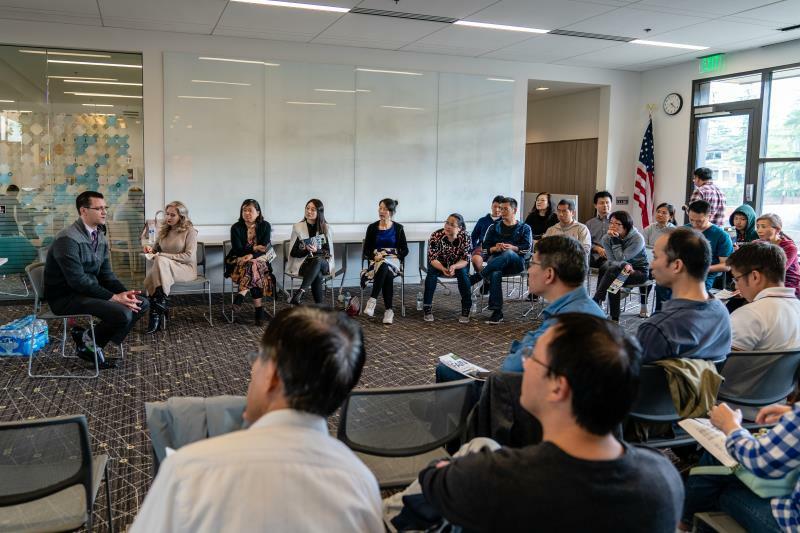 47th District Senator Joe Fain met with a group of more than 40 Chinese Americans on Saturday, September 22nd, at Newcastle Library. Senator Joe Fain was elected in 2010, has served two terms, 8 years in senate, and is Senate Minority Floor Leader and member of Senate Republican Caucus. Education is an important topic to many people attended the meeting. Senator Fain talked about the importance of helping students from low income families. He also said that college admission should not based on race alone. Other factors such as family income, first in the family to graduate from college, two parents family, should all be considered in college admission. Tax is another hot topic. Senator Fain said that if Capital Gains Tax is passed, people selling houses or stocks will have to pay 7% Capital Gains Tax. He is not in support of that. He believes that government should tax based on needs, not to collect tax first and figure out how to spend later. During the meeting, people asked about government transparence. Senator Joe Fain mentioned the Washington Public Records Act, which was originally passed as a ballot initiative in 1972 by voters. Ironically, legislators tried to exempt them from Washington Public Records Act by passing a bill early this year. Senator Joe Fain was one of the seven senators that voted NO on that bill. The bill was later vetoed due to huge public outcry. 47th District represents part of Kent, Covington, and Auburn. 14% of the district’s population are Asian Americans. Senator Fain values inputs from Asian American community, and said that he would like to attend similar meetings in the future. Senator Joe Fain is a moderate Republican. Seattle Times endorsed him on September 4th. Stand for Children also endorsed Senator Joe Fain. Senator Joe Fain’s website is Joe Fain For Senate.